The lack of a two-speed supercharger limited the high altitude performance of the early P-40 models, resulting in its rejection by the British for fighting over Britain and France. The British did use the Warhawk (which they called Tomahawk or Kittyhawk, depending on the model) in all other theaters, especially in the North African campaign where the P-40 was the main British fighter, outnumbering and outflying the Hurricane and outnumbering the Spitfire. The P-40 was the original fighter flown by the famous “Redtails” or “Tuskeegee Airmen,” and served these African American pilots well. In the Pacific, the P-40 was as fast as the Japanese Zero, could out dive the Zero, and could out turn the Zero at speeds above 275 mph. Although the Zero boasted better climb rates and low speed turning, used properly the far more rugged P-40 was a superior design. Liberal use of armor around the cockpit and engine and a self-sealing fuel tank, along with generally far stronger construction made the P-40 capable of taking much more punishment than Japanese airplanes. Production was simple, maintenance was easy, and the plane was as rugged as they come. Used mostly as an air superiority fighter during the early part of World War II, the last couple years of the war saw a shift in the use of the P-40 as a ground attack fighter bomber, capable of carrying up to 2000 pounds of bombs (although normal bombloads were usually either 500 or 1000 pounds). The most exported US plane to the Soviet Union, the Soviets used the P-40 to great effect in the fighter bomber role, and the generally lower altitudes flown by fighters on the Eastern Front minimized the weakness of the P-40 at higher altitudes (above 16,000 feet). Below 16,000 feet, the P-40 was the equal of the Bf-109 and Fw-190 flown by the Germans. Problems encountered with the P-40 by the Soviets were unreliable parts, and wearing out of engines by using maximum power more often than suggested. Soviet aviation fuel was generally of lower quality and octane rating than American avgas, resulting in fuel related problems as well. The main limitation of the P-40 in the Pacific theater was its lack of long range ability compared to the P-38, P-47 and P-51, meaning its use during the island-hopping campaign was limited. Produced from 1939 to 1944, the P-40 evolved through various improvements and models over its production life as do virtually all other fighter planes. Increased power for the Allison engines, addition of a two-speed supercharger, replacing the Allison engine with a Rolls Royce Merlin (the engine of the Spitfire, Hurricane, and P-51D Mustang), modifying the machine gun layout, lengthening the fuselage, adding bomb shackles and drop tanks, and improving rearward visibility were all modifications made to various models. The P-40 remained on duty in South America until Brazil retired its P-40 fleet in 1958. An experimental YP-40SW was made with swept wings, a really different looking Warhawk! Sometimes the P-40 was stripped of excess weight and 2 of the .50 caliber machine guns removed to create a faster, more nimble fighter. One prototype model was capable of 422 mph, but was not developed for production. 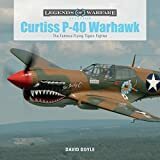 Although you will not encounter many, if any at all, opinions about the P-40 being the “best” fighter of World War II, we think it is reasonable to consider the Warhawk/Tomahawk/Kittyhawk as perhaps the most underrated fighter of the war, or at least the most underrated and underappreciated American fighter of World War II. What do you think? Please give us your thoughts, opinions, and perhaps insight into the design and use of the P-40. Next Article October 15, 2017: Today is Global Handwashing Day!